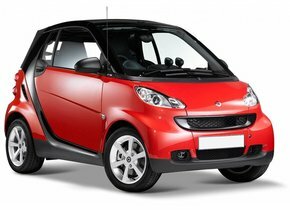 There are many good reasons why it can be interesting to buy a Smart. For example, many people are looking for a nice, comfortable but small car to drive in the city. Standard cars are therefore often all but easy to park and especially when you live in a busy city, a small car can be very handy. For this reason, have you also chosen to buy a Smart, but do you have to deal with damage caused by, for example, rubble on the windscreen? In that case, you will undoubtedly be looking for an opportunity to buy and install a new Smart windscreen at an affordable price. A windscreen replacement of a Smart can be carried out by Autoglas Concurrent not only particularly efficiently and cost-effectively, but also in an extremely qualitative way. Having a windscreen replacement for a Smart is known to be a job that can cost a lot of money. However, this need not always be the case. It is especially important for you, as owner of the Smart, to bear in mind that there are two different types of windscreens. In this respect, you can choose to use an original car window with a brand logo, but you also have the option of opting for an after-market windscreen. The latter may not have a brand logo, but the windscreen quality is completely the same. Both the factory in which both car windows are made and the production line are exactly the same. So how is it that a windscreen replacement of a Smart with a branded one is so expensive? Very simple. Such vehicle glass is only allowed to be sold by a dealer. In any case, the fact that there are so few parties who can or may offer such car windows means that the price is significantly higher than the quality does not necessarily require it. It may therefore be clear that a windscreen replacement of the Smart does not have to be accompanied by a high cost price, but then it is advisable to opt for after-market automotive glass. Compared to the other windows that are part of your car, the windscreen is always made of laminated glass. This type of glass is made from multiple layers of glass. Between these layers is a PVB film. This film adheres to both sides of the glass so that if it breaks, it can hold the different pieces of glass together well. As a result, car window damage to your Smart windscreen will never cause the glass to splash into thousands of pieces. 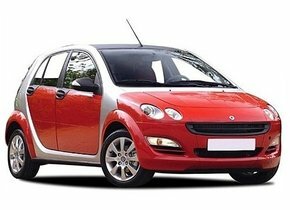 As you have already read, the appearance of an innocent asterisk at first sight does not mean that the windscreen replacement of your Smart is not necessary. Rejection for APK due to windscreen damage? Windscreen replacement of the Smart is not always necessary in case of car window damage. However, there is one situation in which it is important to have your windscreen replaced as soon as possible. After all, the exact location of the windscreen damage is always considered. Is this damage particularly visible in the field of vision of the driver of the Smart or not? If this is not the case and the damage does not interfere with the driver in any way whatsoever, it is not necessary to have the windscreen replaced with a single crack for the APK. If the window damage is in the driver's field of view, this immediately becomes a completely different story. The damage is then considered too dangerous for not only the driver of the car, but also for the passengers, so that the car in question is immediately rejected. 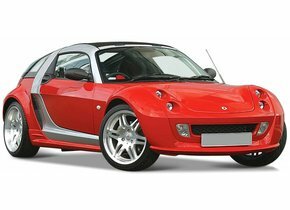 In this case, therefore, a windscreen replacement of a Smart is necessary and should be carried out as soon as possible. The reflective sunlight in the damaged windscreen can cause your vision to be significantly obstructed with all the possible dangers that this entails. Now that you know that you have the opportunity to buy a new Smart windscreen at a very interesting and accessible price, it is also important to look at a person who can place this brand new windscreen efficiently and qualitatively. Here too, Autoglas Concurrent can help you. We work together with FOCWA certified partners who are responsible for installing a new windscreen. This ensures that you can always enjoy the best possible service and quality for the cheapest price.